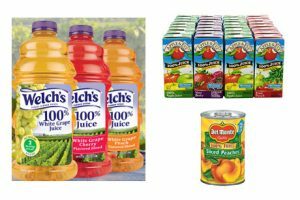 Home/News/How to choose fruit juice or juice drink? Fruit juice is the first choice for many people drinks, but for a variety of fruit juice drinks, how do you choose? Food safety experts recommend the “five-step” method of purchasing fruit drinks. Step one: look at the concentration. Fruit juice drinks concentration all will be labeled on the bottle, and you try to choose the juice with high concentration. Step two: see the origin of fruits. The fruit juices made from the fruits of good origin are much better than the ordinary ones. A good taste, naturally, will not add too much food additives. Step three: look at precipitation. The presence of precipitated juice indicates that the producer retains the cellulose in the fruit during the manufacturing process, whereas cellulose is very beneficial to the human body. 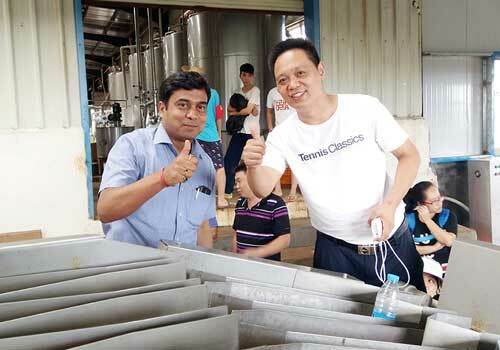 Therefore, fruit juice with precipitate is generally more suitable than the non-sediment juice for human consumption. Step four: see mellow and natural. Some fruit juices in the supermarket are bright in color and good in permeability. Others appear to be opaque, mellow, and even a little dim. Just fresh juice color is normal, but after a long time still brightly colored juice is not necessarily a good fruit juice. It is possible to add color-retaining agents and preservatives and advise consumers to be cautious when drinking. Step five: see ingredients. Fruit juice ingredients will be marked on bottles, it is recommended to buy drinks with less ingredients. The less additives in the drink, the better the juice’s nutrients are stored. How to buy 100% juice? Holiday is the golden season for the sale of juice drinks. The major supermarket stores will place apple juice, strawberry juice, orange juice and other taste changeable fruit juice drinks in a prominent position, citizens also use juice as the first choice for drinks. In particular, the products with “100% fruit juice” and “pure juice” in the external packaging are very popular. Experts advise that consumers must look at the purchase of fruit juice content, do not be blindfolded by advertising. With the improvement of living standards, pure fruit juice drinks have become an important part of the public’s healthy diet. However, in the hot selling of pure fruit juice, some so-called fruit juice drinks and fruity drinks also hit the sign of “pure”. Some beverage samples on the product label, the word “juice” to enlarge and “beverage” is shrinking very small, it is easy to make consumers mistaken for 100% pure fruit juice. It is understood that fruit juices are completely different from juice drinks according to the relevant standards. In China, fruit juice content of not less than 10% can be called fruit juice drinks, the juice concentration of 100% can be called only fruit juice, or 100% pure fruit juice. It is produced by crushing and squeezing fresh or ripe fruit, or by adding the same amount of water lost in the juice concentrate to the juice concentrate. Experts remind the public, be sure to read the label before buying, qualified product packaging is equipped with a description of the ingredients, 100% pure fruit juice is generally noted as 100% juice (for example, for concentrated reduced fruit juice, then marked water and fruit juice concentrate), and clearly states “never contains any preservatives, sugar and artificial colors”. 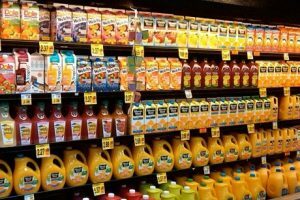 Can the fruit juice be drunk after the shelf life?